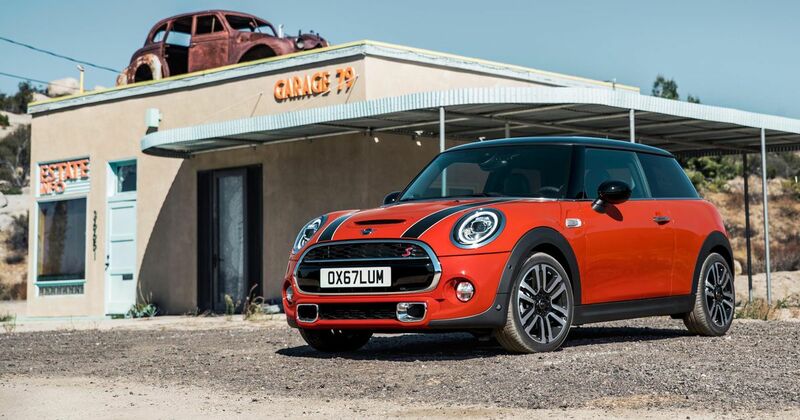 This is the new Mini hatchback. Honest, it really is. Look at those Union Jack rear lights, taken from the Electric Concept of last year. It’s just a light facelift, some might say, but there’s quite a lot going on under the new, flat, simplified badge and a range structure that moves away from diesel. 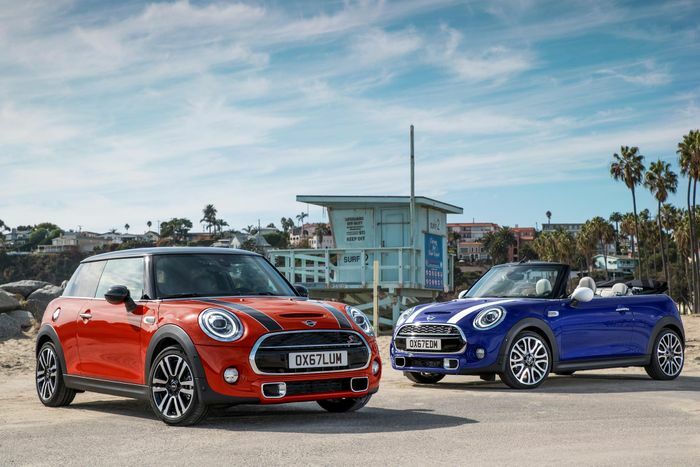 For the hatchback it spans a petrol One, petrol and diesel Cooper options, a petrol-only Cooper S and a John Cooper Works performance flagship. There’s no One D or Cooper SD. 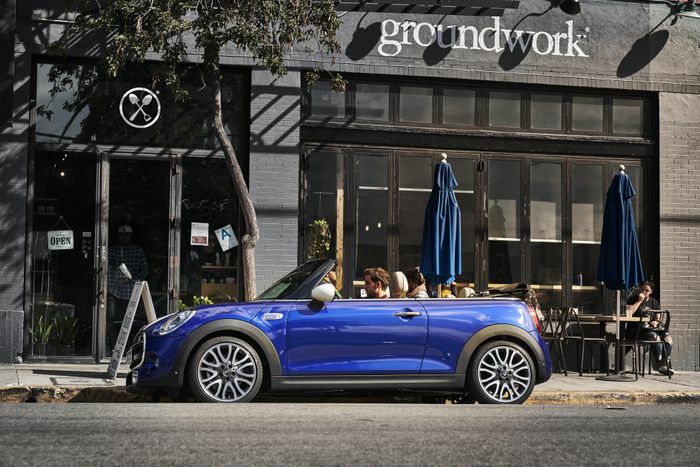 The five-door hatchback’s lineup is the same except for the lack of a JCW model, while the convertible, based on the three-door, interestingly lacks any diesel options at all. It does have a JCW version all the same. The flappy-paddle ‘box (actual flappy paddles on the Cooper S only) also speeds the 0-62mph time up by a tenth to 6.7 seconds. One-badged cars have also had a big change. 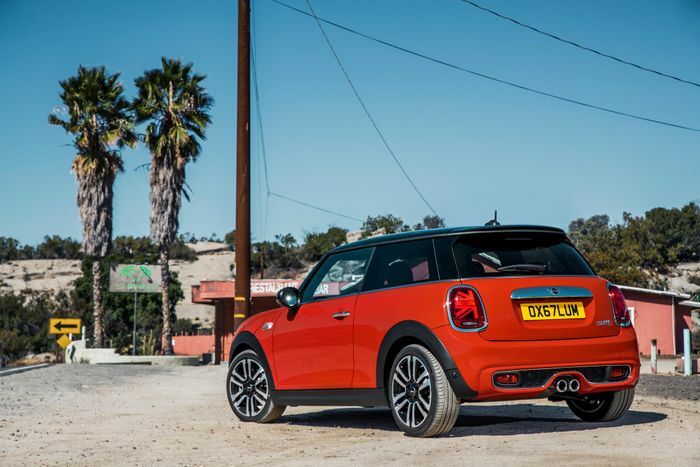 The old and thoroughly likeable 1.2-litre triple has been swapped out for a 1.5-litre three-pot. At least it should still sound characterful, and it comes with a token seven pound-feet of extra torque. Oh, and how could we forget? All the new engines have engine covers partly made from carbonfibre-reinforced plastic recycled from the build process on the BMW i production line. Elsewhere there’s a new option of matrix LED headlights that can stay on full beam without dazzling oncoming drivers or melting people’s rear-view mirrors. Adapted from BMWs, it’s a great technology except for those odd times when the system gets caught out for a second and turns someone’s retinas to smoke. The navigation upgrade is now a flashy 8.8-inch touch-screen effort. Specify it and you’ll get a wireless smartphone charging pad, too. 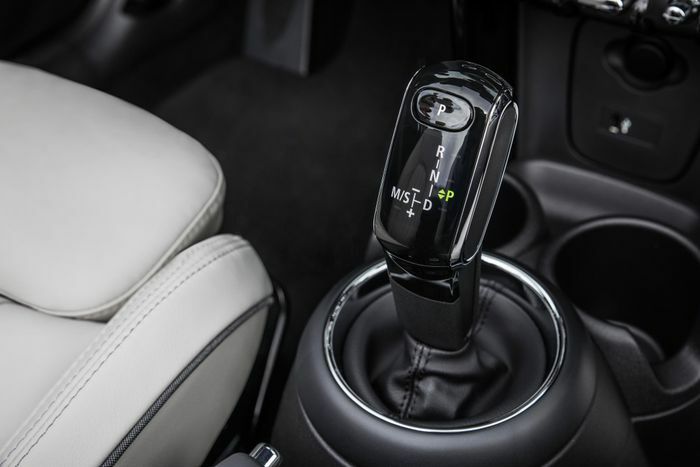 You can send navigation routes to the car via your phone and even access live traffic data. Bizarrely, the Remote Services functions allow you to flash the headlights and sound the horn remotely, which we’d be willing to bet will be a YouTube prank video almost as soon as the cars hit the showrooms.